Friendly reminder during this busy spring season. We ask that photography sessions, including Prom groups, be pre-scheduled and approved in advance due to our weddings and specialty events. 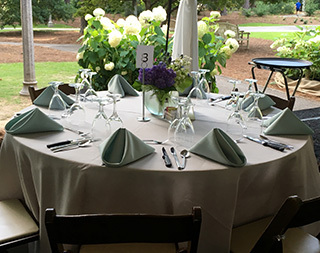 (We regularly have weddings here at the Gardens.) We will do our best to accommodate as many groups as possible and apologize for any inconvenience. 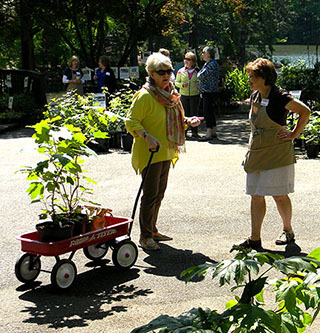 Don't miss our Annual Spring Plant Sale! 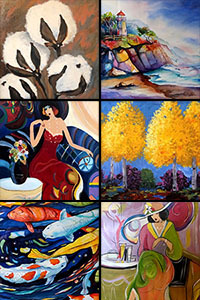 Members-Only Sale Preview - Thursday, April 25 - 4 to 7 p.m. Annual Spring Plant Sale - Friday, April 26 - 9 a.m. to 5 p.m.
See our list of Available Plants for 2019! See what Summer Camps we have in store for 2019! Registration is now open. Take a look at our camps listing. Members-Only Guided Bird Watch - April 20th! 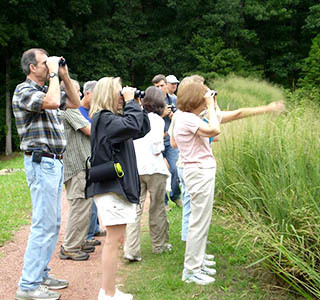 For the seventh consecutive year, Dr. Richard Ryel and his wife Patricia are leading our members-only guided bird watches. 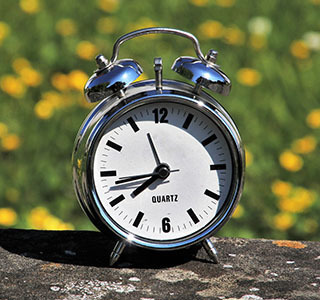 These are generally held on the 3rd Saturday of each month from 8 - 10 a.m. To see the dates of this year's currently scheduled bird watches and to register, click here. 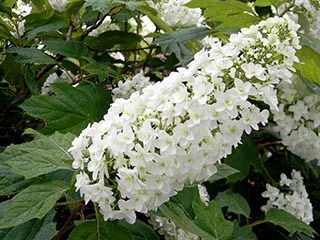 Want to learn more about hydrangeas and other related gardening topics? Join us at 1:00 p.m. on April 24th! 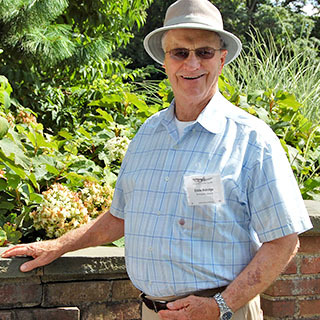 Aldridge Gardens Executive Director, Rip Weaver, will be sharing what he's learned about hydrangeas throughout his years of experience. Get more details here. 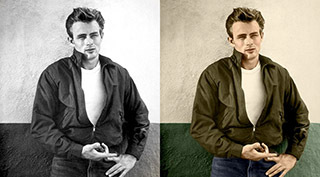 Learn how to hand tint images in Photoshop with Butch Oglesby. This workshop is designed for people with some Photoshop experience. Thursday, May 16th from 6 to 8 p.m. Learn more. 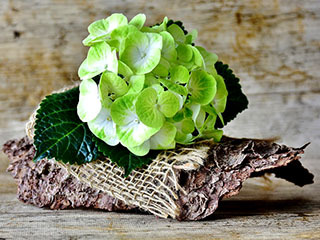 This hands-on workshop, scheduled for May 25th, will show you how to root fresh hydrangea cuttings. Come and learn how to propagate hydrangeas for yourself. And you'll get to take them home too! Learn more about this SOLD OUT event. 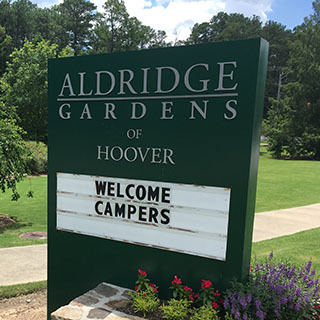 Take a look at Alyx Chandler's article "Hoover celebrates life of nurseryman and gardens creator Eddie Aldridge" in the Hoover Sun. It's a beautiful piece based on an interview with Kay Aldridge and Aldridge Gardens CEO, Tynette Lynch. Read it here. Hydrangeas Under the Stars - June 8th! The date for our annual Hydrangeas Under the Stars event is set for Saturday, June 8th. 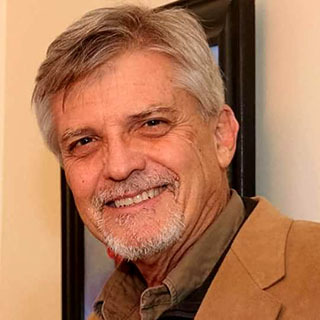 This year, we will be Honoring the Memory of Eddie Aldridge. Make your reservation now! This event has sold out in the past. This class will show you a great way to include upper body exercise and add balance assistance while walking. Sunday, June 23rd, from 2 to 3:30 p.m. Led by Dr. Leroy Hurt, this class is free. But registration is required. Get the details. 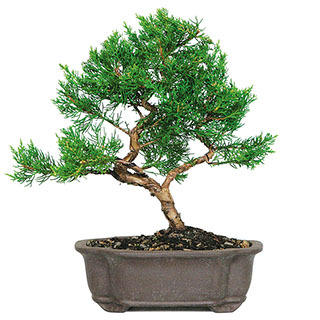 Have you heard about our new Bonsai Membership? This membership level offers quarterly bonsai educational opportunities. Learn more and see all of our membership levels here. 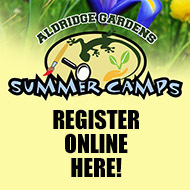 Now you can order Aldridge Gardens gift certificates online and have them mailed to you or someone special! It makes for an excellent present and its always the right size. Learn more about it. 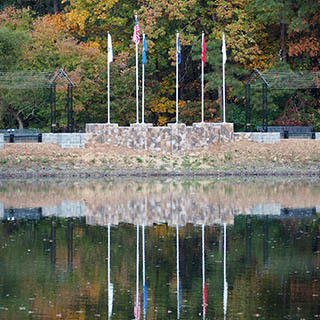 You can still reserve benches and pavers to honor veterans through our Veterans Memorial Arbor. Learn more and find out how. What makes Aldridge Gardens so special? Hear our CEO, Tynette Lynch, talk about the many things that make Aldridge Gardens unique and how it helps build community in Hoover. Our daily hours of operation are currently 8 a.m. to 6 p.m. Gardens members can enjoy the special benefits of walking their leashed dogs or fishing our lake between 4 and 7 p.m. on Mondays through Thursdays. 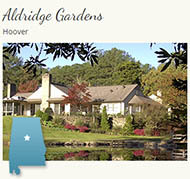 To learn more about becoming a member of Aldridge Gardens, click here. On exhibit in April and May. We're delighted to be part of the Alabama Garden Trail! You can explore and experience Alabama's beautiful gardens from the top of the state all the way down to the Gulf - and of course right here in Hoover! Visit the official travel site of Alabama to learn more. Aldridge Gardens is open daily from 8:00 a.m. to 6:00 p.m. (However, we are closed Thanksgiving, Christmas Eve, Christmas, and New Years Day.) Admission to the Gardens is free. 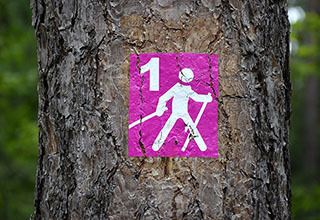 Everyone is invited to enjoy our walking trails but ask you not to run or jog on them. Our trails are very natural and not conducive to running. Members are invited to walk their leashed dogs and fish our lake Mondays through Thursdays, from 4 to 7 p.m. Please make sure to clean up after your pet. However, fishing and dog walking will be restricted during weddings or other special events.